Maxs Creobol is an advanced creatine and nitric oxide boosting formula, designed to increase muscle pump, strength and power. 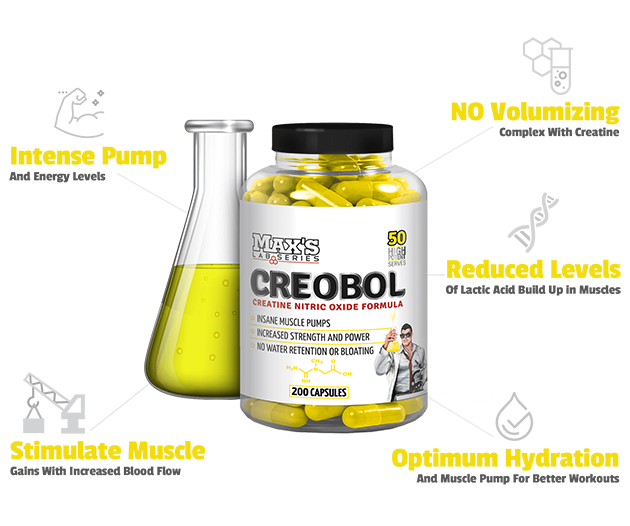 Mixing together 3 different types of creatines along with a nitric oxide stimulating complex of citrulline and betaine, Creobol helps to sustain longer, more intense workouts and maximise performance. The increased blood flow from the nitric oxide increase will help to deliver key nutrients such as the creatine as well as oxygen to the muscles, helping to enhance your capacity to train. Max’s Creobol also includes a range of electrolytes to maintain intracellular hydration levels, which will further help to boost endurance capacity, but also optimise recovery and muscle gains. Take on Max’s Creobol if you’re ready to take your workouts up a notch. Fantastic. Great to have a creatine tablet available. If find it so convenient compared to mixing powders in water. Fast delivery to Melbourne also MrSupp so thanks very much. What is the best way to take these tablets and when. It is best to take them before training with water. I am concerned about these tablets after taking them the bottom of my feet were like catching on fire. This lasted for 2 weeks not sure if this was normal. I'm not too sure why you're experiencing these effects, but I would immediately stop taking the tablets. Can this be stacked with a pre workout? Yes you may stack pre-workout and Creobol however, the only thing to look out for is the pump ingredients. Creobol has pump ingredients and so do most pre-workouts that just helps increase blood volume to the muscles. 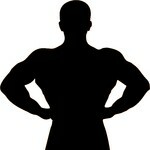 If you're looking into sustaining muscle growth and want them to look fuller then that's okay to stack together. is this product a replacement of Creatine X8? or can they be taken together? Creobol is not a replacement to Creatine X8 and can be taken together, however, you will be doubling up on some forms of creatine. Creobol is part creatine/part intra workout. Magnesium Stearate, Rice Flour, Di-Calcium Phosphate, Gelatine, Talc.